We offer customers Industrial Cable Raceways that are pre galvanized sheet in painted & powder coated as per client’s requirements. These raceways are in shape of ordinary cable trays and are used for laying underground cables. Further, here our expertise lies in offering these in plain or bended as well as other finish specifications as per the specific demands of our customers. We are manufacturers of Industrial CableRaceways. 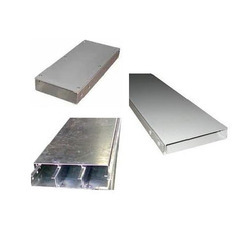 These raceways are manufactured under the strict supervision of our expert team in compliance with the industry set specifications using quality tested mild steel that is sourced from authentic vendors. The powder coated raceways we offer are used in underground cable installations. 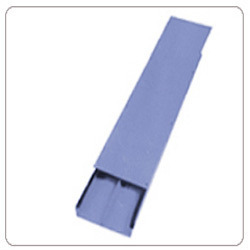 We are manufacturer of Galvanized Iron Raceway to the honored customers. Our professionals precisely manufacture these raceways from highest quality metal and cutting-edge technology. Used for underground cables, offered raceways are highly acknowledged among the clients for their light weight, fine finish, nominal market price and customized dimension. With the assistance of our expert manufacturing team and installed machinery, we have been able to offer optimum quality CableRaceways at nominal market prices. These raceways are used for the installation of underground cables. Manufactured under the strict supervision, these cable raceways are widely appreciated for their seamless finish, corrosion resistance and longer service life. We are manufacture of CoveredRaceway. These raceways are manufactured under the strict supervision of our expert team with the incorporation of latest technology and advanced machinery. Offered raceways are appreciated among the clients for their superior quality insulation, rust resistance and hassle-free installation. 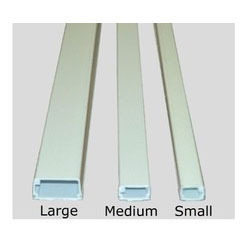 Moreover, we offer these raceways at the most competitive market prices. 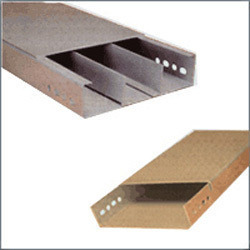 Our organization offers superior quality FlooringRaceway to the prestigious customers. These raceways are precisely manufactured in accordance with industry laid parameters under strict supervision. Offered raceways undergo various stages of quality checks by the quality controllers before their final dispatch. 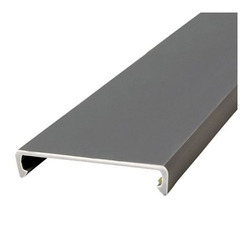 Known for their seamless finish, rust resistance and durability, these flooring raceways are used for wire installation on the top surface of the floor. Looking for Industrial Cable Raceways ?